The theme of the concert this year is Creation with the children drawing from different aspects of the curriculum, including Core Curriculum, drama, visual arts, language and SPHE to explore the various beliefs and traditions based on the theme of creation. A reminder that tomorrow, Friday 1st December is the last day for ordering the RMDS festive cards designed by each of the children. All details are in a previous email – however a reminder that order forms are to be given into the office while payments need to be made online through EasyPayments. Both the order form and the payment need to be submitted in order to ensure your card order can be processed, printed and delivered in time for the RMDS Christmas Fair! 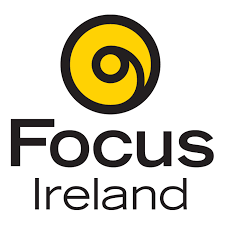 Our Festive Charity this year is once more Focus Ireland – a very worthwhile charity which does great work in the fight against homelessness. A reminder that the final day for bringing in an item for the hampers which will be delivered to Focus Ireland is this Monday, 4th December. All details are in a previous email! We had the joy and privilege of having the Sam Maguire cup in RMDS this week. Thank you to Colm Basquel from the Dublin team, Conn McCluskey (Finn – R5 and Conn’s – R1 dad) and to Simon Lambert from Ranelagh Gaels. We talked about the hard work and perseverance that is needed to get to that level of skill but how hard work always pays off no matter where our interests lie! Colm was great at answering all our questions! The event you have all been waiting for is almost here - The RMDS Christmas Fair!!! This is the highlight of the school year - a great festive family day out, and the schools biggest fundraiser! Daron Ward (Ethan’s (JI) dad!) has done an incredible job on the new website www.rmdschristmasfair.com - which is packed full of information about the day! There is also a section on how you can help . . . we really need as many parents as possible to get involved - so please log on! 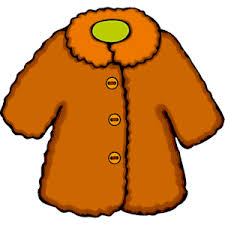 We will also be at the school gate next week to collect your once loved toys, gently worn clothes and re-gifting items. Stall Volunteers, Cake Bakers and Soup and Stew makers can also sign up at the gate! Any last raffle prizes gratefully accepted too! In an effort to make the Fair a greener event, this year we are using cups and bowls supplied by Down2Earth. All containers are compostable! Thanks to Lorraine Murphy (Julian’s (R1) mum) for this brilliant tip off! Keep an eye out for the stylish posters and window banners promoting the fair - creatively put together by Brian Nolan (Juno (SI) and James’s (R5) dad).